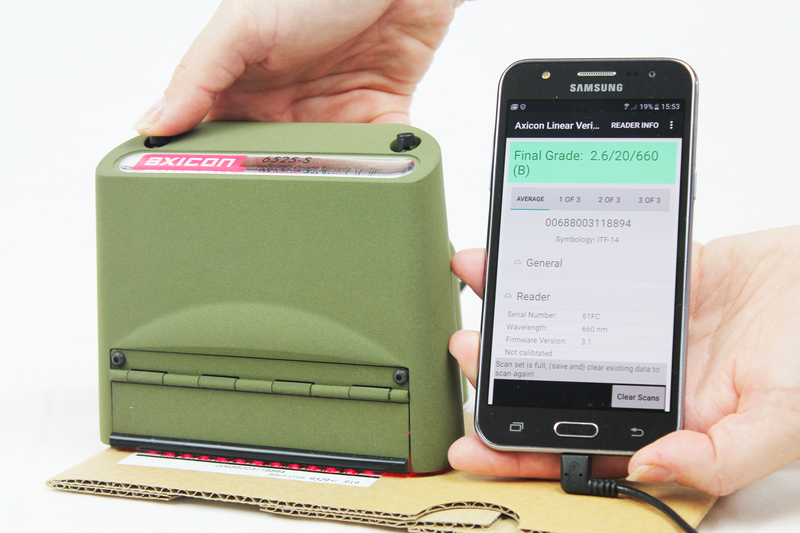 Free to use, this app allows anyone with an Axicon 6000, 6500 or 7000 series verifiers to use it with an Android device and record the results as easily as with a PC or laptop. The app can also be used to open the saved scan files, whichever linear barcode verifier has been used to create them. This new app gives our linear verifier users extra functionality, as they don’t need to use a PC or laptop to power the verifier. If it is easier to take the verifier to the product to check the barcode, then using the app with a tablet or smartphone makes this very straightforward. Most users will need to use a USB OTG (on the go) adapter for their device, and they will need to check which one they require to connect to the verifier. The PV-1000 unit can be used with any of the following linear barcode verifiers – the 6015, 6515 and 7015 - and it allows you to carry out verification without any connection to a laptop or PC. You can see the overall grade for each symbol, as well as the values for individual parameters while you are using it. The PV-1000 will also keep all your results as text or Axicon’s .scn files which you can transfer to your PC using a USB memory stick. This means the results can be recorded as part of any quality control system. We can also supply a portable printer if you need to be able to print these reports immediately off-site. (If you already have a printer with a standard serial (RS232) printer, then this would work perfectly too.) Both the PV-1000 and the printer are battery powered and they will work for approximately 8 hours before needing to be recharged, or have the four AA batteries changed. We also have a protective rubber cover for the PV-1000 which will give it greater protection, if you need this. Please note that the PV-1000 is not compatible with any of the S-range or two-dimensional barcode verifiers. This protective rubber case is moulded to slide on and grip your PV-1000, helping to reduce accidental damage. There is a choice of receipt printers available for the PV-1000. Mains powered printer or battery powered printer.